Wild Boar and myself do enjoy having desserts after our dinner. I like to spring surprises on him nowadays coz I have nothing better to do now that my Piggies are away in the city pursuing their dreams. 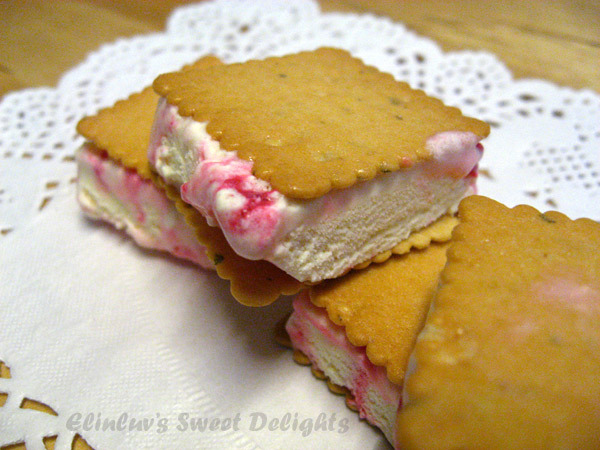 I am glad, I have all the time in the world to make delicate pieces of finger licking good ice cream sandwiches with the thinnest wafers or crackers I can find ..LOL ! 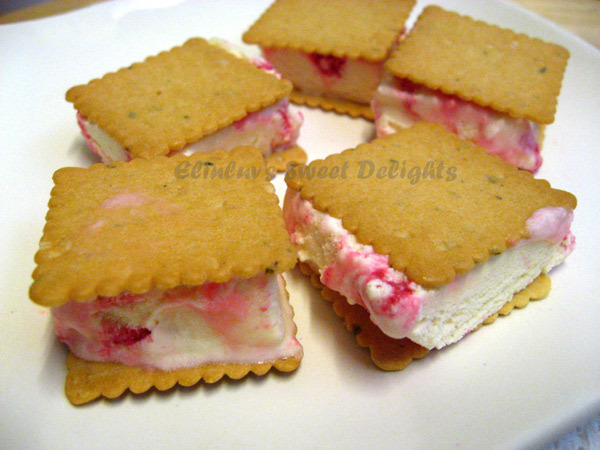 Pop these delicate mouth-watering ice cream sandwiches into the mouth while watching our favorite movie is sheer paradise on earth. These are so pretty I might not want to eat them. Okay scratch that, I'll still eat them. Who could resist?! Yum Yum! WOW! Cool! 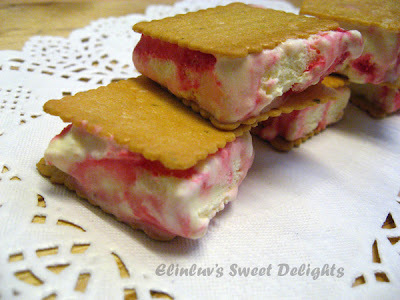 I need this, it is very hot here! YUmm..yumm..yumm... I am salivating here! 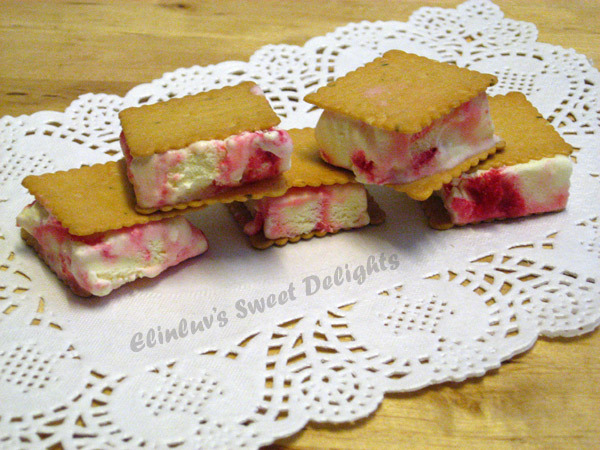 These ice cream sandwiches are so cute and creative, Elin! They look so delicious and flavorful, too. Wonderful job on them, and thanks for sharing. You have a beautiful blog! Perfect. What a great treat idea. Heavenly treat...especially in the midst of our summer heat! I really want this now! did you make the ice cream yourself this time? have you decided on the ice cream maker? They do look good! 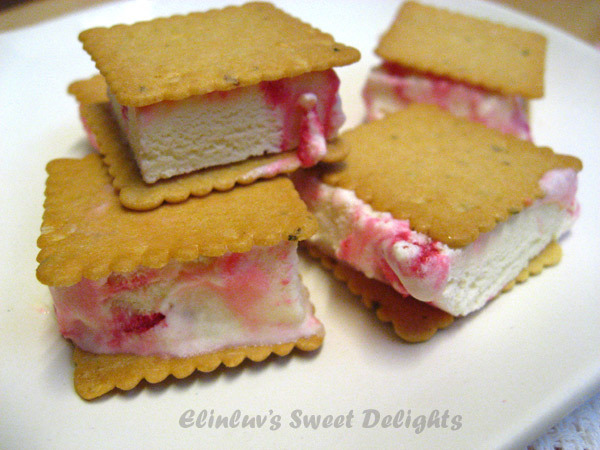 Making your own ice cream sandwiches is always better, and I like the idea of putting the ice cream in between your favorite cookies or crackers! 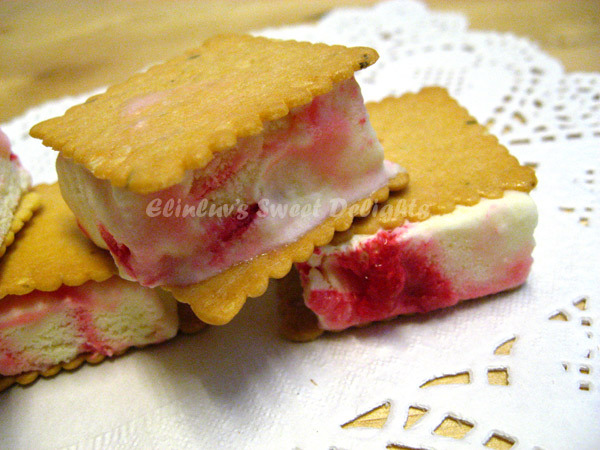 did i mention that piggy chef lovesssssss ice cream!